Ada di antara kita yang membuat bantahan di luar dan dalam negara, ada juga yang memboikot barangan mereka, mengutip derma dan menjadi sukarelawan bahkan ada yang sanggup menggalas senjata menyertai Mujahidin di Palestin. Bagaimana dengan kita....mungkin hanya mampu memanjatkan doa. Masing-masing punya rasa tanggungjawab, peranan dan cara yang tersendiri terhadap isu yang berlaku di Palestin. Anonymous punya kaedah berbeza; Cyber War. Ketika Palestin dijarah, Anonymous mengumumkan akan melaksanakan OpIsrael, dan kini kelihatan ratusan laman web Israel digodam, selain alamat emel dan kata laluan yang turut didedahkan ke arena internet. Greetings World. For far too long, Anonymous has stood by with the rest of the world and watched in despair the barbaric, brutal and despicable treatment of the Palestinian people in the so called "Occupied Territories" by the Israel Defense Force. Like so many around the globe, we have felt helpless in the face of such implacable evil. And today's insane attack and threatened invasion of Gaza was more of the same. But when the government of Israel publicly threatened to sever all Internet and other telecommunications into and out of Gaza they crossed a line in the sand. As the former dictator of Egypt Mubarack learned the hard way - we are ANONYMOUS and NO ONE shuts down the Internet on our watch. To the IDF and government of Israel we issue you this warning only once. Do NOT shut down the Internet into the "Occupied Territories", and cease and desist from your terror upon the innocent people of Palestine or you will know the full and unbridled wrath of Anonymous. And like all the other evil governments that have faced our rage, you will NOT survive it unscathed. 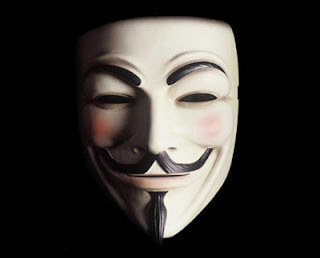 To the people of Gaza and the "Occupied Territories", know that Anonymous stands with you in this fight. We will do everything in our power to hinder the evil forces of the IDF arrayed against you. We will use all our resources to make certain you stay connected to the Internet and remain able to transmit your experiences to the world. As a start, we have put together the Anonymous Gaza Care Package - http://bit.ly/XH87C5 - which contains instructions in Arabic and English that can aid you in the event the Israel government makes good on it's threat to attempt to sever your Internet connection. It also contains useful information on evading IDF surveillance, and some basic first aid and other useful information. We will continue to expand and improve this document in the coming days, and we will transmit it to you by every means at our disposal. We encourage you to download this package, and to share it with your fellow Palestinians to the best of your ability. tak berani nak tengok tapi mampu doakan untuk palestin shaja. Rasa macam dah komen hari tu.... tapi tak de pun!!! Blog lain kot.... sama entri! hnya mampu berdoa dri jauh shj..
tugas2 masing2 ikut kemampuan. dr dok hack org yg x berdosa baik hack negara kejam kan? pray for gaza .. Allah akan lindungi mereka amin ..
Agak tersentuh hati ;O .. let pray gaza, hmmm . Hanya dapat memberi sumbangan dari segi doa . wah seram giler cara die ckp ..